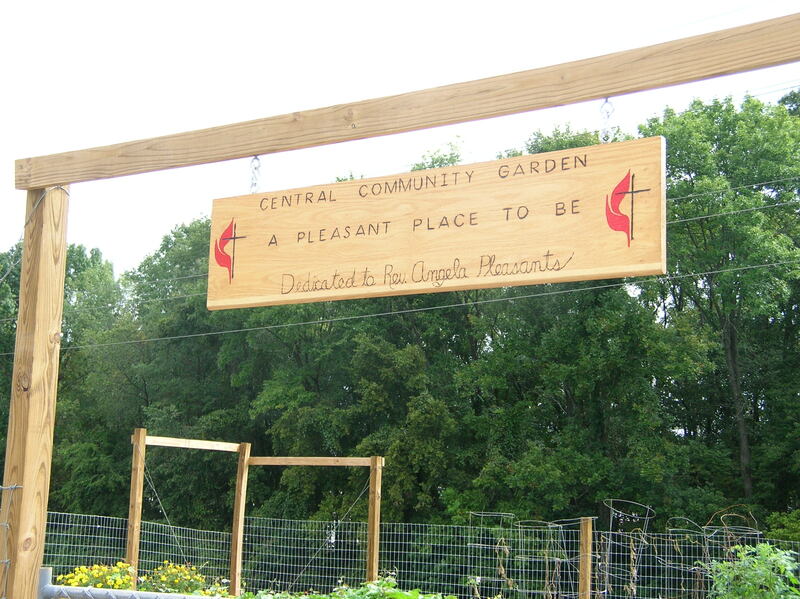 Central Community Garden , “ A Pleasant Place to Be,” was founded in 2011 by members of Central United Methodist Church , inspired by the leadership of Langston Denny and then-pastor Rev. Angela Pleasants. It is entirely funded, coordinated and operated by volunteers. This garden is unique in many ways. In addition to having a unique watering system that utilizes a natural stream, this garden has uniquely designed raised beds accessible to physically handicapped individuals, where they can sit to garden. Plots are available to church and community members, resulting in a great diversity among gardeners. They include single individuals, young couples, seniors, community members from apartments, workers in the nearby office park, teachers and families from Albemarle Road Elementary School. Families, including some who have emigrated here from Burma and Latin America, grow a variety of foods and speak different languages. Plot holders voluntarily donate produce to Central Cares, which serves families in need. Furthermore, some Central Cares recipients have become plot holders and now share with others. INTERESTED IN HAVING A GARDEN PLOT? Read the guidelines (here) and fill out the application (here) to send with your $20 fee to Kay McDaniel at Central United Methodist Church, 6030 Albemarle Rd, Charlotte, NC 28212. You are only obligated to take care of your space, respect the space of others and enjoy your summer experience and fall harvest. Contact Kay McDaniel at 704-536-9157 or via e-mail at kaymcdaniel54@gmail.com. 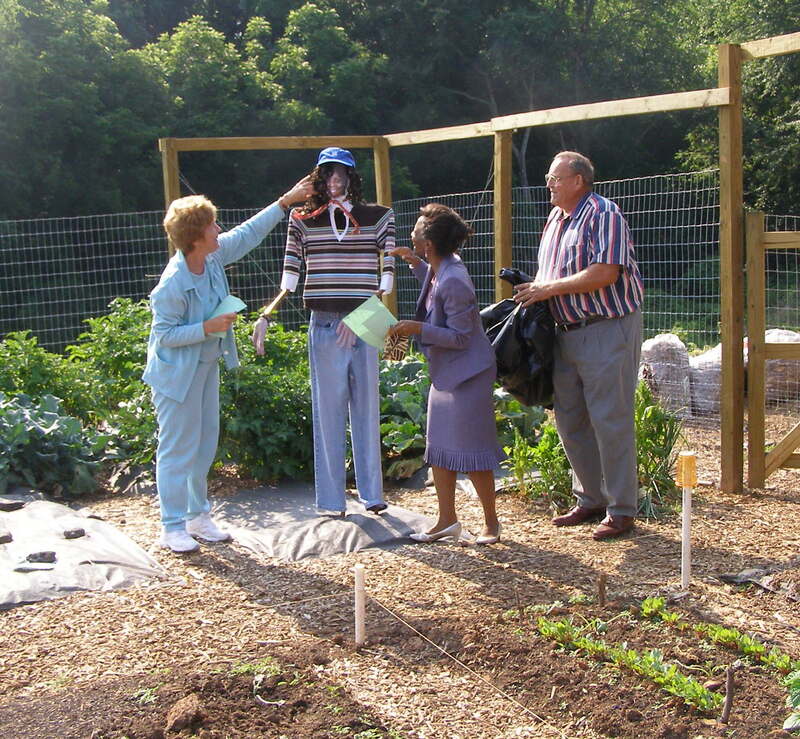 Central’s Community Garden was named the best Community Garden on the 2012 Charlotte Community Garden Tour. It was one of four gardens visited by some 90 people who participated in the second annual event. Central’s community garden was an important factor in Central UMC winning a Cool Congregations Challenge award for its efforts to conserve through the Community Garden and in other ways. Many members, led by Langston Denny, Don Irons and Louise Woods, initiated and carried out projects throughout the year which garnered this recognition for Central.